In complicated times, when even the grown ups can’t get it right, Gen Y TV sat down with new media publisher andNew York Times Bestselling author, Andrew Breitbart (Righteous Indignation: Excuse me while I save the world!) to gain insight into the man behind BigGovernment.com, the Internet media outlet best known for breaking the ACORN and Anthony Weiner sexting scandals. Addressing topics from new media opportunities to the current political landscape, Breitbart discussed each topic with a heavy dose of reality as it applies to Gen-Y, specifically young adults 18-35. “Gen Y is very much SCREWED!” Breitbart said with conviction, “when it comes to the raw economics of what my generation and the baby boomers have handed to you.” Regarding the future of Generation Y in new media, he took a more positive, yet cautious position, “There are so many opportunities out there if media continues to be free, and if the government doesn’t try to impede and say we’re going to put limitations on you.” Breitbart stressed the innate compatibilities between young adults and new media, and encouraged anyone with a digital camera to report stories from their community that the mainstream media isn’t covering. 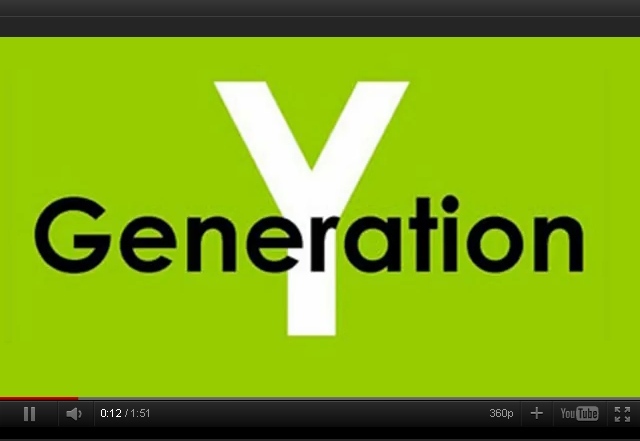 In addition to asking a spectrum of questions on key figures and issues relevant to Gen Y, a quick round of word associations focused on everything from Media Matters to legalizing marijuana, President Obama to Libertarian Congressman Ron Paul. One provocative statement after the next, Breitbart delivered decisive answers in rapid response.